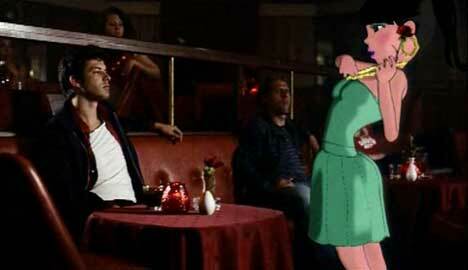 Mark Ronson‘s recording of Lily Allen performing the Kaiser Chiefs track, “Oh My God”, is captured in a music video with Ronson mixing while Allen in cartoon form flirts in a bar. The music video begins with Mark finishing a evening of mixing. He’s drawn by a luminescent flyer to visit a night club where he finds an animated Lily Allen performing ‘Oh My God’. The singer interacts with members of the audience, takes a drink from the waitress and drinks it at the table of the Kaiser Chiefs, leaving them with an animated pink kiss. The music video finishes with Mark back in the studio, visited by the animated Lily Allen. “Was that alright for you Mark?” “That was good!” (Laughter from Allen). 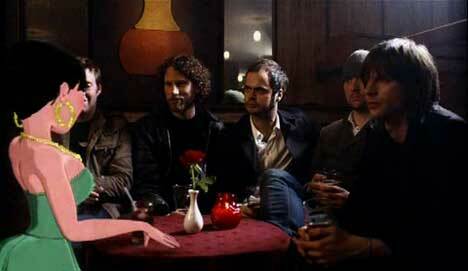 ‘Oh My God’ was released by Kaiser Chiefs as their debut single by the Drowned In Sound label in May 2004. The single was re-released in February 2005 just before the debut album, Employment. Lily Allen covered the track on her second mixtape in 2006 as well as on Mark Ronson’s Version 2007 album. The music video was directed by Nima Nourizadeh via Partizan, known for his earlier work with Lily Allen and 2006 music video, “Over and Over” for Hot Chip. The Lily Allen character was designed by French illustrator Fafi.